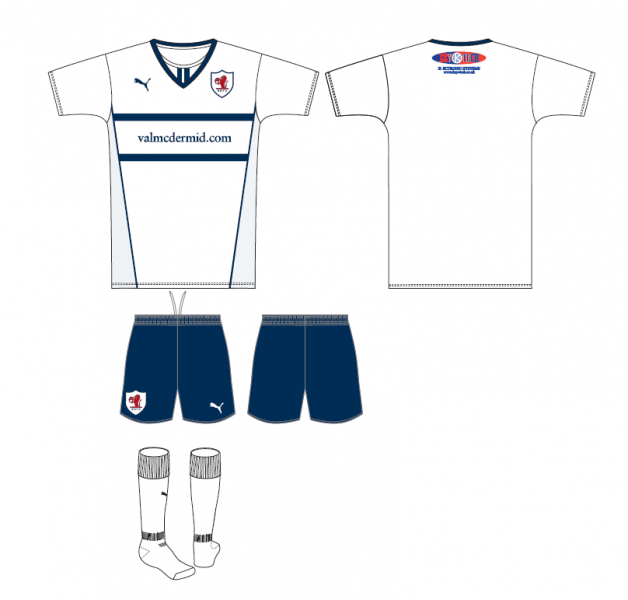 Raith Rovers is pleased to announce the new home shirt sponsor for season 2014/15 – valmcdermid.com. Tom Morgan, Commercial Director, said, ‘We are delighted to welcome Val on board. She has been a great supporter of the club and when she was approached about the sponsorship she knew it was a win-win situation for herself and the club. It is an honour for a provincial club like Raith Rovers to be involved with a world famous author’. Whilst O’Connell’s are no longer sponsoring the home strip, Dennis is still a major sponsor of the club and we thank him for his continued support. Thanks, as always, to KeyTech for continuing their sponsorship on the back of the shirt. As per Val’s quote, there has never been a better time to advertise with Raith Rovers and anyone interested in advertising or sponsorship at Stark’s Park for the coming season is advised to contact the Commercial Department on 01592 263514 (option 2) or commercialraithrovers.net. Fred Panther scores four goals in Rovers 5-1 victory over Clydebank in the final game of the 1930-31 season. Hoggan was the other scorer from the penalty spot.